Simply Be wanted to promote their curve catwalk which featured models of all sizes. In order to do this they commissioned a piece of consumer research where they surveyed women of all size. The survey revealed how over half felt pressured to look good because of social media whilst others felt pressure from catwalk models. 89% of women do not feel represented by models used in fashion campaigns and 78% feel that they would have to fit an unrealistic standard of beauty in order to feel included by the fashion industry. 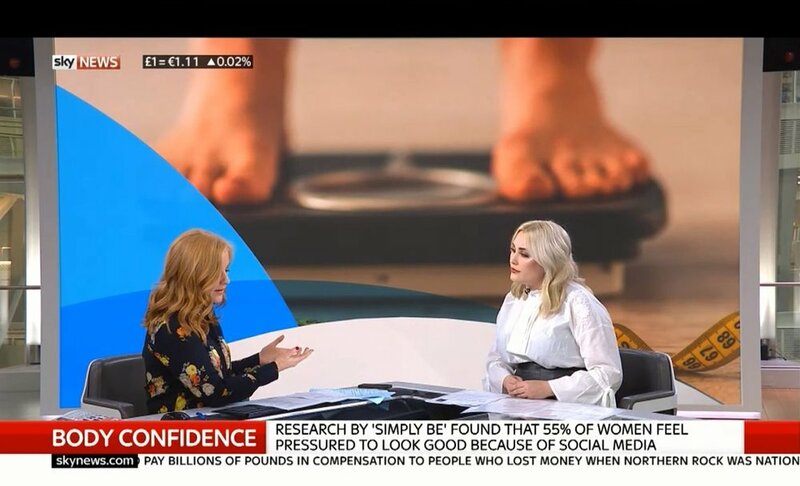 We worked with plus sized model Hayley Hasselhoff who brought to life the research and promoted the catwalk show that was streaming on Simply Be’s website. We secured National TV with Sky News sunrise and then a morning of back to back interviews from our studio with regional BBC’s, Heat Radio and a host of commercial radio stations. In total we delivered over 60 pieces of coverage with a reach of just under 5 million.